Manufacturer of various kinds of automotive components. Duplomatic started to be involved in the hydraulic field in 1952, the year of its foundation, through the production of hydraulic copying systems. This product, thanks to its innovative features for the machine-tool sector, allowed the Company to become a worldwide leader. In 1960 Duplomatic started to develop and manufacture its own line of hydraulic components, thus branching out from its early aims and acquiring new innovative technical solutions both in the component and plant sectors. OMAL is a company whose mission is “customer satisfaction”. 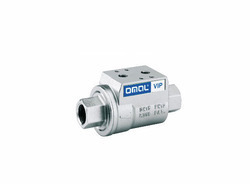 With an in-depth knowledge of world market, extensive technical awareness, on-going market research and consistent improvements to the product line, OMAL continues to offer the highest quality in actuators and valves. Technology and flexibility are the determining factors for the development of its range of ever evolving products. 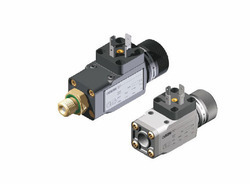 AIGNEP "EXCELLENT SOLUTIONS FOR COMPRESSED AIR"
With more than 30 years experience in pneumaticfield, Aignep is an Italian leading manufacturer of compressed air elements.Providing start to finish solution products in the pneumatic field. More than 10 Million parts ready to ship from a revolutionary automatic stock to guarantee quick delivery. Aignep compressed air pipe systems are quick to install and ready for immediate pressurization. Components are removable and interchangeable and allow immediate and easy layout modifications reducing production downtime. Unlike the performance of steel pipe, which degrades over time due to corrosion, air quality is clean with optimum flow rate performance with the use of Aignep pipe system. 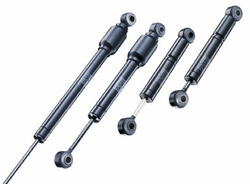 As a world market leader for gas springs and hydraulic vibration dampers, Stabilus have proven the competence in linkage systems for years: In the automotive industry, furniture industry, building mechanical systems technology, as well as in medical products and rehab technology. By using Stabilus products you can optimize opening, closing, lifting, lowering, damping, and adjusting actions. PETERS INDU-PRODUKT Peters Indu-Produkt GMBH belongs to the international recognized manufacturers of pneumatic, hydraulic, sensor and automation products. 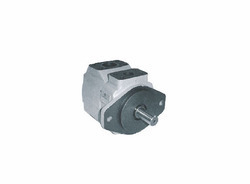 The name Peters stands for technical progress with new trend-setting products. Peter’s Innovation and exemplary quality are world wide recognized by the customers. In Peter quality checks are not just made after the product has been manufactured, rather during every stage of process-oriented production. MHAZentgraf was founded in 1945 by Alfred Zentgraf as a mechanical engineering company. Since 1978 they have been producing high pressure ball valves and control valves and are today one of Europe's leading manufacturers. 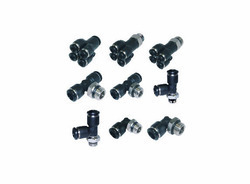 MHA ranges of valves have stood the test of time for ultra-high pressure applications up to 80 Mpa. 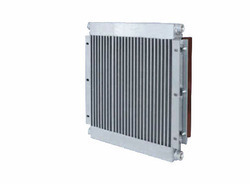 MECHATRONICS Our Auto Drains are designed and produced in high quality, to work on very harsh environments. Auto drains are also called as condensate drains. Condensation is moisture that drops out an air flow, as it cools. The condensation in a compressed air system is a constant threat to cause expensive problems. The following are a few examples. Mix butterfly valves, available in diameters ranging from DN100mm ÷ DN400mm, are complete with double flanges of connection, and they have different versions, according to the products to be intercepted. 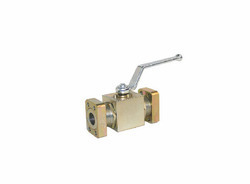 Mix slide valves, strong and reliable, complete with double flanges for connection, are available in a production range of square nominal openings from 150 to 800mm, and have different versions, in many different materials. Mix pinch valves have a particular structure that allows the optimization of product interception in pneumatic transports, as well as an easy maintenance. Moreover, the employ of a particular mix of wear-resistant rubber reduces significatively the wear. At present it is available only the version with inner DN 100mm. 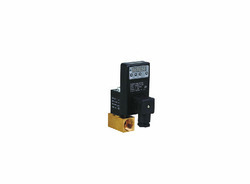 The valves and the accessories are Conformity to the European Directive 2006/42/EC. By: Variety Metals Pvt. Ltd.